The gazebo netting is great. Its the perfect size and it can withstand the weather. I have enjoyed being outside and not having to fight to many bugs because of the netting. 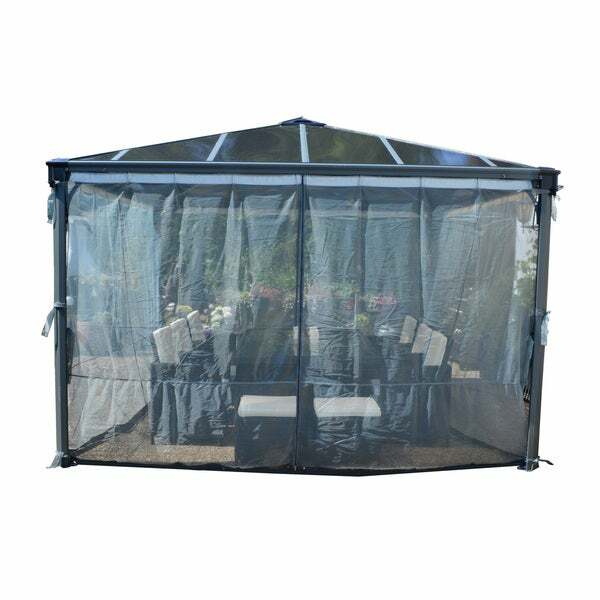 The Palermo / Milano Garden Gazebo Netting Set is aesthetically appealing and functional, it will add to your comfort by allowing airflow yet keeping out unwanted bugs. 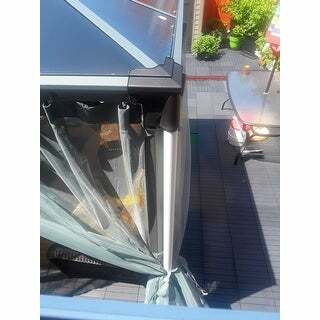 The lightweight polyester screen comes with hooks that slide into the clips at the track line of your gazebo. This Netting Set was specifically designed to ensure compatibility with the Palermo Gazebo structures 10 ft. x 10 ft., 12 ft. x 12 ft. and the Milano 10 ft. x 10 ft. This set contains four screens to cover your entire gazebo; easy to install and easy to use. This set includes zippers to connect the screens together and ties to secure them to the corner posts. No maintenance is required, they can simply be machine washed. This Gazebo is netting amazing, it's waterproof, lightweight and machine washable. Works wonderful and just enough color in netting to give us a little privacy! "Hello I really want a mosquito net but also great air flow. I don't know which one I can buy as I don't have a bar for the clips to attach to. Do I have to buy a different type of gazebo for the netting to properly attach? Thank you!" "does part #7829 comes with the netting, If not what is the price?" "So this is just the frame? It doesnt come with the actual fabric??" "does it comes with the gazebo"